Could Chelsea's Eden Hazard join Real Madrid this summer? Transfer rumours are a natural part of modern day football and quite a lot of the time, there’s nothing to them – they’re media-driven stories designed to draw clicks or sell papers. 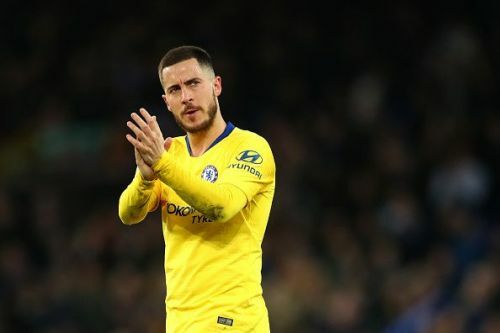 Some stories simply won’t go away, though – and one of those in 2018/19 has been the suggestion that Real Madrid will look to break the bank for Chelsea’s Eden Hazard this summer. Could it be true? Sure. Real are certainly looking at a rebuilding process under new (old) boss Zinedine Zidane, and of course they’re more than willing to splash the cash. But should Hazard make the move to the Bernabeu? I think he should, and here are 4 reasons why. Okay, so Hazard hasn’t won the Champions League at Chelsea yet, but with the Blues currently languishing in 6th place in the Premier League, it simply doesn’t look like the Belgian star will get the chance at doing so any time soon. But apart from that, what else does he have to prove at Stamford Bridge? The answer is largely nothing. 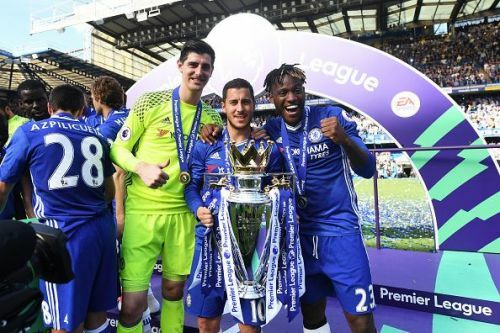 2018/19 is Hazard’s 7th season at Chelsea and during that time, he’s won two Premier League titles, one FA Cup, one EFL Cup and the Europa League too. Individual honours? He was voted Chelsea’s Player of the Year on 3 occasions, has won the Premier League Player of the Year award, and he’s been named in 4 PFA Premier League Teams of the Year. His goalscoring record is phenomenal for an attacking midfielder – 105 goals in 339 appearances – and he regularly makes tons of assists, too. Basically, the Belgian has been Chelsea’s best player for almost the entire time he’s been at the club. And over the past couple of seasons, there’s a fair argument to make that he’s been the Premier League’s most outstanding player too, even in the seasons that his club have struggled to make a mark. Hazard could continue to have more success at Chelsea, that is true – but at what point does it all become a little dull for a player of his calibre? Surely it’s time for a new challenge for the Belgian – and where better to take that new challenge than to Real Madrid?